One of the biggest moments during Super Bowl week took place off the field, and it was quarterbacked by WWE Hall of Famer “Diamond” Dallas Page. Page arrived late to the world of pro wrestling, debuting at age 35, but forced himself into the main event scene in WCW in the late 1990s through his work ethic and tenacious pursuit. 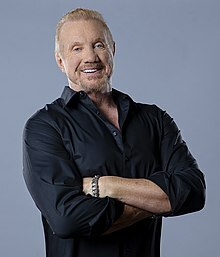 His intrepid, entrepreneurial spirit was on display again this past week when he announced a partnership between his DDP Yoga fitness program and the NFL Alumni Association. Page has dedicated the past 20 years of his life to building DDPY, his yoga-based workout designed to heal and strengthen the body, and the new partnership with the NFL Alumni will allow current and former pro football players access to the DDPY fitness program. Former Ravens legend Ed Reed, who will be inducted into the Hall of Fame this summer, is one of the proponents of the program.